...but apparently there also exists a uniformly-coloured variant. 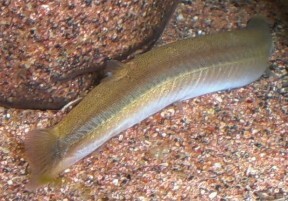 Detail of caudal fin and posterior portion of body. Unknown. The specimens in our images were purchased from an aquarium store in Germany. 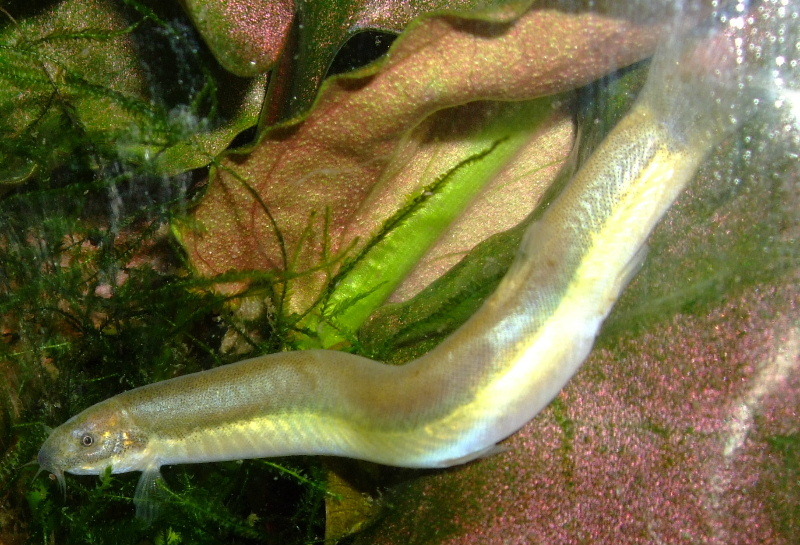 An aquarium with base measurements of at least 60 ∗ 30 cm or equivalent is recommended. 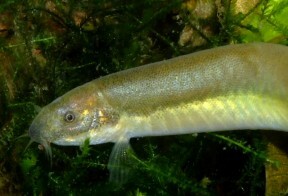 Small, peaceful species from similar environments such as Boraras, Sundadanio, smaller Rasbora, Trichopsis, Sphaerichthys, Kottelatlimia, etc. constitute the best tankmates. Adult females are typically heavier-bodied and a little larger then males, while in mature males the first pectoral-fin ray is visibly branched and thickened. 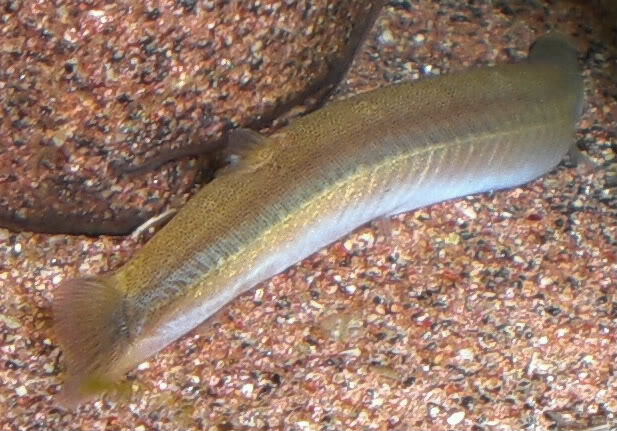 The fish in our images don’t seem to correspond to diagnoses of any of the described members of the genus but can be assigned to the P. kuhlii-oblonga species group as per Bohlen et al. (2011) with a degree of certainty. It’s apparently exported as a contaminant among shipments of a uniformly brown-coloured fish with unpublished genetic analyses suggesting the two might be variants of the same species (J. Bohlen, pers. comm.). 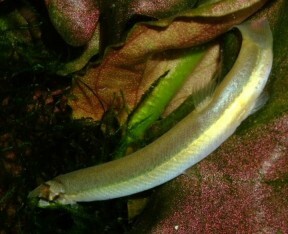 Among congeners it may be related to P. alcoides Kottelat and Lim, 1992, since that species also has a colour pattern comprising a dark dorsal half and white ventral half of the body. Nomenclatural Status of the Fish Names Created by J. C. van Hasselt (1823) and of Some Cobitoid Genera.